In the past for any applications I’ve written in C#, I’ve always logged any information I needed to in a .txt file in the Windows %temp% directory. This was really quite a messy approach when I consider it now. Auditing: Depending on your level of logging, you can get a step by step view of what’s happening with your application. I find this useful for testing as I write code. Diagnostics: This is the more obvious use of logging from your application – capturing a stack trace or other useful information in the event of any issues. Using the Windows Event Viewer to capture auditing or diagnostic logging is a much better approach, as you can specify when you log what type of event this is, i.e. ‘Information’ (for auditing), or ‘Warning’ and ‘Error’ (for diagnostic logging). This makes it a lot easier to find errors, and makes any logging you do highly readable. This is definetely something I’ll be adding to my utilities library. Many of the applications I’ve been looking at developing during my Windows Phone 7 endeavours have a common requirement – the ability to check if this is the first run of the application. For example, if you are designing an application that will access a service like Twitter or Facebook, you’ll need to gather the users login details in order for your application to function. For example, on the first run of the application, we’ll want to display a login dialog, gather the users information and store it. We can use the isolated storage facility on Windows Phone 7 devices to store this information. If you’re unfamiliar with isolated storage, check out my previous post here. I added this code to the ‘Application_Launching’ function. This function is called each time your application is launched. Next, we need to create an event handler to intercept any navigation the your main page, and redirect to your ‘first run’ page (login or whatever) if necessery. First we check if we’re navigating to our main page, if we’re not the function just returns and navigation proceeds as normal. If we are, we’ll ensure that if it’s the first run of the application, the user will be redirected to a login page etc. That’s pretty much it, I’ve successfully used the above mechanism in two different applications, hope this saves you some time! I’ve been looking at the ASP.NET MVC framework for the past two weeks, and it has occurred to me that some of the simple things we may want to do when creating a web application may seem confusing to someone new to ASP.NET MVC – for example the task of creating a DropDownList control on a form. ASP.NET MVC provides a number of ‘HTML Helpers’ which we can easily use to construct the form items. ‘DropDownList’ is one of these HTML helpers we can use. This creates the basic form code for us – no need to explicitly write any HTML code. Before adding the DropDownList control, we need to decide where we want to get the data which will bind to the list. We can either hard code the items, or use LINQ to SQL to grab them from a database at runtime. From the above, you can see how easy it is to render form items using the HTML helpers provided by ASP.NET MVC. For a full list of the helpers, check out the MSDN documentation here. I’m planning on doing a series of posts called ‘2 Minute Tutorials’. I always get frustrated when searching for information on the Internet. Sometimes, I just want a simple explanation, and a code example that I can utilize immediately. This is what I hope to provide in this series of posts, which will be mostly related to Windows Phone 7, C#, and C++. In this particular installment, I’m going to take you through the process of storing and retrieving information on the Windows Phone 7 platform – a certain requirment should you intend developing a WP7 application. You can store information on the phones local file system quite easily. This may be required for saving such things as user information like usernames and passwords to services such as Twitter, or application specific preferences such as a preferred language or orientation. This functionality is provided by the IsolatedStorageSettings class contained in the System.IO.IsolatedStorage namespace. It’s ‘isolated’, because it can only be accessed by your application, not by any others. If you need to share information between applications, you’ll need to store it on the web somewhere – this offers local, isolated storage only. IsolatedStorageSettings allows you to store name/value pairs in a dictionary. This data will always be there, even after powering off the phone. It will remain in the file system until you either remove it, or you uninstall the application to which it belongs. Your application will throw an exception if you try to retrieve a value that is not present so you should always handle this case. You can save anything, even Objects. You have to explicitly cast your data when you retrieve it. That’s it. It’s that simple to store and retrieve information on the local file system of a device running Windows Phone 7. See here for the MSDN documention on IsolatedStorageSettings. 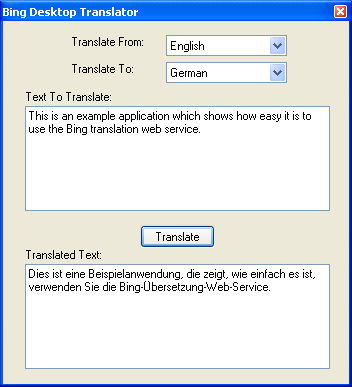 Microsoft’s Bing Translator provides a translation web service which can be called via C#. In this post I’ll outline the steps to use this web service, and create a simple application to perform translations. First, you’ll need to create a valid application ID for your application. This is required in order to be able to call the web service. Head over to Bing’s Developer Centre and sign in with your Windows Live ID. Follow the steps to create a new ID for your application, it’s a simple process and shouldn’t take you any more than 2 minutes. Download the full source code, here. You’ll need to add in your application ID in order for this to work properly. If you plan on releasing your C# application in non-English speaking markets, you will obviously want the UI to display localized strings. When developing applications using .NET, it’s relatively simple to achieve this. In this post, I’ll outline the steps involved in localizing a simple C# application. .NET applications store string resources in .resx files. These are XML format, with the main advantage being they are human readable and can be opened in any text editor, unlike resource DLL files for example. The only item not human readable in a .resx file, may be an embedded object, like a Bitmap file for example. Start off by creating a simple Windows Forms application from Visual Studio, it will create an initial form for us to work on. Select the form and on the ‘Properties’ dialog look for the ‘Localizable’ property and set it to ‘true’. You may also notice the ‘Language’ property, leave this set to ‘Default’ for the moment. If you take a look under your form in ‘Solution Explorer’, you will notice a .resx file has been created. It will be named FormName.resx, open this up and search for the string on your button and you will see how it is stored. Now to add the equivalent German strings (or any other language you fancy!). Recall the forms ‘Language’ property mentioned earlier, you will find it under ‘Properties’ when you’ve got the form selected. In the dropdown, change the value to ‘German’. You will not notice any visible changes, but you can now edit the strings on the form to represent the German equivalents. Do this for as many languages as you want to. Once you’ve done this, take a look under your form in ‘Solution Explorer’, you will notice that a new .resx file has been added automatically, FormName.de.resx. This will contain your German strings. You should note here that you can also change the layout of the form to include any required changes, in the event some strings are longer in certain languages, e.g. Greek. Now when your application is run on a German operating system, the strings displayed will be automatically taken from FormName.de.resx, rather than FormName.resx. The UI language used in Windows is a function of the CurrentUICulture setting. In order to see the German strings actually display, you would need to install a German language pack, and change your regional settings, or we could just set our locale programmatically in our application. 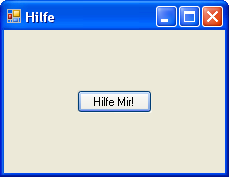 // Sets the UI culture to German (Germany). This post outlined the very basics of localizing .NET applications. In future posts, I plan on expanding this a bit to advanced topics such as avoiding common internationalization issues. Recently, I had a requirement to be able to retrieve settings information from a number of COM+ components running on a server, such as the Constructor String etc. The idea behind this was to give us a snapshot of a servers configuration, and also allow easy comparisons between different servers in the event of issues. This is tedious and time consuming to do manually, especially if you’ve got a large number of components within each COM+ application, so I resolved to write a small C# program to do this for me and write the data to a file. COM+ provides an administration object model that exposes all of the functionality of the Component Services administrative tool, so by adding a reference to the necessary library, you can achieve anything you can do through the graphical administrative tool, programmatically. To get started, you’ll need to add a reference to the necessary library – ‘COM + 1.0 Admin Type Library’. This can be found under the ‘COM’ tab when you go to add a reference to your project in Visual Studio. The above code shows you how to get a list of COM+ applications and their components, but what about retrieving or setting the values of specific component settings like the Constructor String of a component? That’s a quick overview, I leave it as an exercise to the reader to explore the other functionality of the ‘COMAdmin’ library, but if you just need to retrieve values of settings from specific components, the above will get you started. As per normal, MSDN has some great documentation here. Ok. You may laugh. I’ve just today used LINQ for the first time to parse an XML file, and I’m seriously blown away at how easy it was. I’m a little embarrassed, since LINQ has been available since .NET 3.5 was released around November 2007. If you are like I was, (LINQ-less!! ), I’ll give a brief introduction here. LINQ (Language INtegrated Query), is a component that adds native data querying capabilities to .NET languages. It can be used to read, parse and write XML files (and also SQL, which I may cover in a future post). Take a look at the example below to see how easy it is to use this technique to read data from an XML file. Reading data from an XML file is a very common scenario. I always used .ini file as configuration files for any applications I wrote, but .NET doesn’t provide any built in support for .ini, and hence wants you to use XML. Easy huh? The line beginning with ‘var servers=…‘ may look strange to you if you’ve never seen it before, (it did to me). This is an anonymous type declaration. If you’ve never heard of anonymous types in C#, MSDN has some great documentation here. Optical Character Recognition (OCR) has been around a long time. One of it’s main uses, for those not familiar, is to gather text from images. Off the shelf products, such as Abby’s FineReader exist, with prices ranging from $150 for a single user copy, to up to $10000 for large enterprise ‘site licenses’. But where’s the fun in buying it! I learnt recently that Microsoft Office 2007 has built in OCR capabilities which can be accessed from C# via a COM interface. I will explain in this post how to leverage these capabilites. First off, you need to have MS Office 2007 installed. This is obviously a dependency if you develop an application to use the OCR capabilites in the field – it won’t work without Office installed. Furthermore, the OCR capability doesn’t install by default when you install Office, you need to add a component called ‘Microsoft Office Document Imaging’ (MODI). For instructions on how to add the required component, look here. Now that you have MODI installed, you can create an OCR application! Boot up Visual Studio and create a new C# console application. You’ll first need to add a reference to MODI, so we can use it from your application. From the Visual Studio Solution Explorer window, right-click on the ‘References’ folder. When the dialog box appears, select the ‘COM’ tab. Finally, select the object named ‘Microsoft Office Document Imaging 12.0 Type Library’. The code below will create a new MODI document, retrieve the text, and ouput it word by word to the console, (you could also output it to a text file or a custom XML file, I leave that as an exercise for the reader). I’ve assumed below the image file you wish to retrieve the text from is located at ‘C:\Images’. Notice the 'MODI.MiLANGUAGES.miLANG_ENGLISH' parameter above, this is set to the language you are dealing with. It looks like 22 languages are supported, including Japanese and the Chinese variants. When I ran this, (using the home page of my McAfee 'Total Protection' 2010 suite as the guinea pig), the results were surprisingly accurate (for English anyway), with only two recognition errors. I wonder if it is also as accurate for double byte languages like Japanese etc. I'd also like to check it against an RTL language like Arabic. Anyway, it's definetely worth a look if you want to develop a custom OCR application on a shoestring budget. I had a requirement recently to be able to programmatically check certain resources were contained in a set of (native) DLL resource files. The idea behind this was to add some post-build automated engineering checks to our existing automated test suite, e.g. 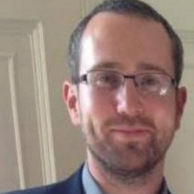 ensuring resources for all the required languages have been injected correctly. Using this, we can perform functions such as importing resources, loading strings, and even injecting new resources. Download the library and take a look, it can save you lots of time if you need to perform any checks/actions on DLL file. VMware provides two really useful API’s for automating virtual machine (VM) tasks on both VMware Workstation and VMware ESXi server. These are extremely easy to use from C#. In a QA environment, the automation of VM’s can be hugely benifical, wheather attempting to automate an environment for build sanity checks or functional tests. This post will outline the basics of using the VIX API from C#, in order to perform operations on VMware ESXi server. If you don’t have access to an ESXi server, you can install it on a VM, it’s free to download from the VMware website! For starters, you will need to install the API’s on your development machine. In order to download, you will need to create a VMware account, which you may already have if you have downloaded Workstation or ESXi server in the past. If you dont, you can create an account for free. Once logged into your account, you can download both API’s from the ‘Support & Downloads’ section. VIX on the other hand, is used to automate the actual operations on VM’s, such as booting them, copying in files, getting/setting VM environment varibles and other tasks you may wish to perform. The coolest part of VIX is that a wrapper for C# exists, created by Daniel Doubrovkine over at dblock.org. This wrapper, ‘VMwareTasks’, provides a simple object-orientated approach to VIX, which will be familar to C# developers. Download the wrapper here. Now for the basics of using the VIX API and VMwareTasks wrapper. Create a new console application project in Visual Studio. You will need to add a reference to the VMwareTasks DLL, which is located in the ‘bin’ directory when you extract the VMwareTasks download. Look how simple it is to power on a VM! The simple code above just connects to an ESXi server, and powers on an existing VM, but you can see how easy it is to perform operations on VM’s. You can see from the above examples how easy it is to perform operations on VM’s using these API’s. Install the API’s and play around with the functionality, I guarantee you’ll be impressed!